The Superman of Cricket, AB de Villiers is one of the most admired cricketers of all-time. He is known for his ability to hit the ball all around the ground and is also called as "Mr. 360" for the same reason. He holds the record for fastest 50,100 and 150 in One Day Internationals and is one of the most innovative batsmen of this era. De Villiers featured for South Africa in 228 matches and scored 9577 runs at an incredible average of 53.50 including 25 centuries and 53 half-centuries. He is also the only player to have scored 5000+ ODI runs, averaged 50+ and a strike rate of over 100 in ODIs. This article is dedicated to his batting heroics as we take a look at 5 of highest scoring innings in One Day Cricket. In the 2011 Cricket World Cup, after losing the toss and being put to bat first, De Villiers exploded for a quick-fire 134 off 98 accompanied by 13 fours and 3 sixes. 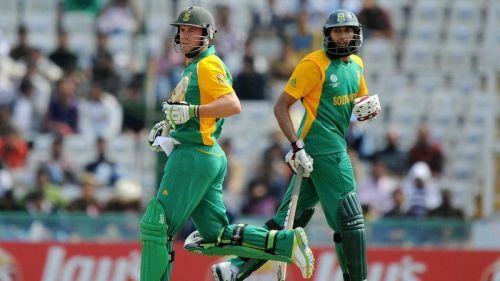 The Amla-De Villiers duo added 221 runs for the third wicket, with Amla scoring 113 off 130 balls. South Africa scored 351-5 in 50 overs. In their chase, Netherlands got all-out for just 120 runs. Imran Tahir was the pick of the bowlers with 3/19 in 6.5 overs. Kallis and Peterson picked up two wickets each while Steyn and Duminy picked up a wicket each. 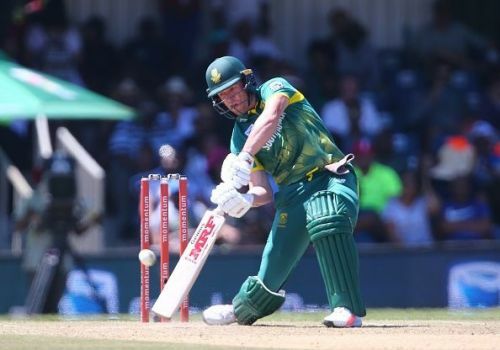 South Africa won the game by a huge margin of 231 runs and De Villiers won the Man of the Match award for his heroics that put South Africa in a commanding position.